Wow! 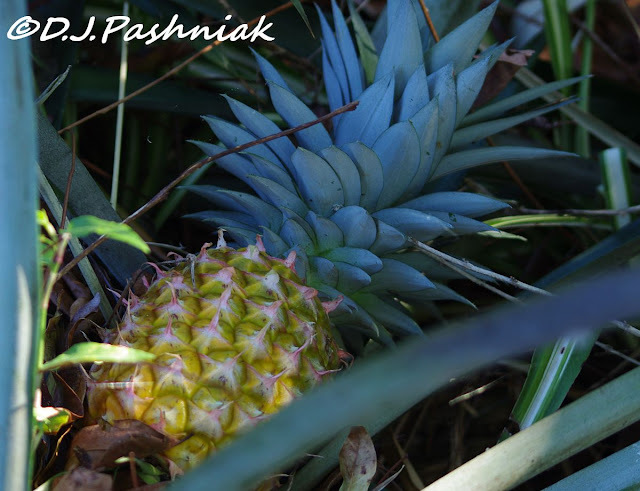 Pineapples in your garden and fresh birds taking over the yard ~ Glad you are taking control now ~ Wonderful photos! Those are mean birds! in our former life, when we had a yard, we used to have scrub jays who tormented one of our Siamese cats nearly to death! These birds must be related. Glad you have hired someone to help you with your yard -- it's your turn to enjoy the fruits (pineapples) of your former labors and let somebody else do the hard work to maintain what you started!! 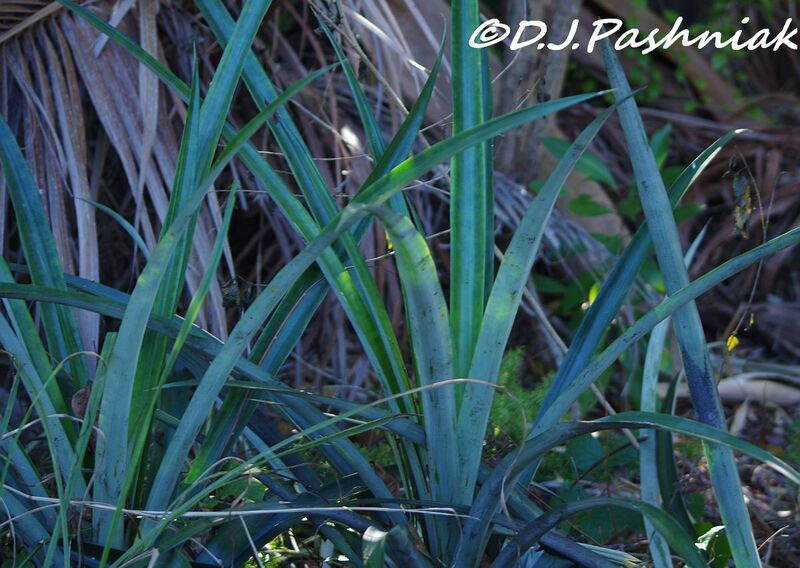 how wonderful to plant pineapple. Love them but if I try to plant they rot. They don´t like Sweden :( Glad you had fruit on yours. I can imagine how your garden grows almost too fast in your climate. It's bad enough here in our wet and warm summers, never mind your own. I'd like to grow a pineapple I must say. A great fruit. The Peewees must be quite an aggressive species. Perhaps time for another dog to restore the balance? Hello, having someone help with yard work is something we may need soon. The fresh pineapple sounds awesome. The Magpie Larks are pretty, to bad they are mean. I hope your kitty is ok. Enjoy your day and week ahead!! So good to see you back on track. 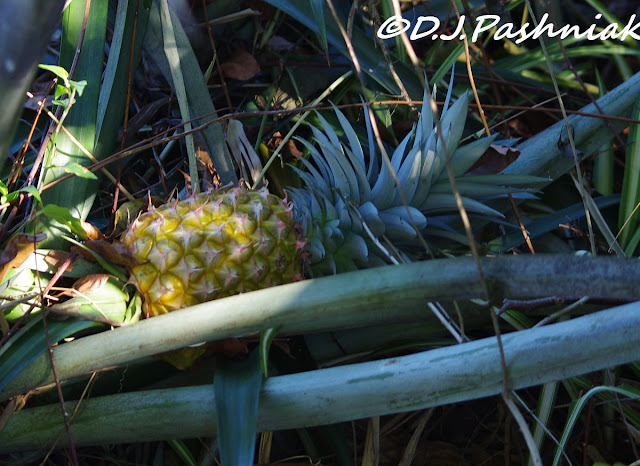 I can't believe your pineapple plants fruited! How brilliant to get your money's worth out of a pineapple by growing more. Well that is am easay way to get more pineapple plants then. 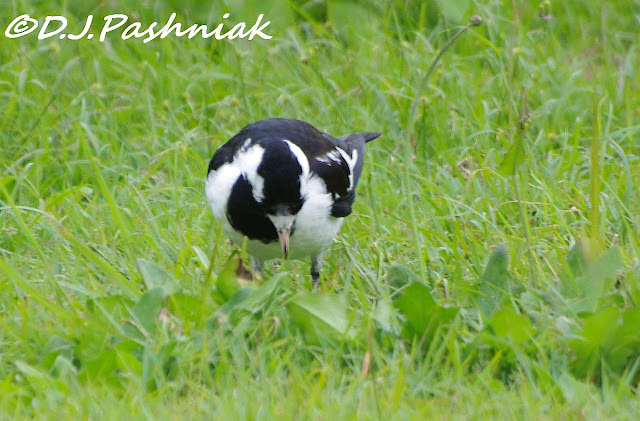 The Magpie Larks probably haveyoung near by. 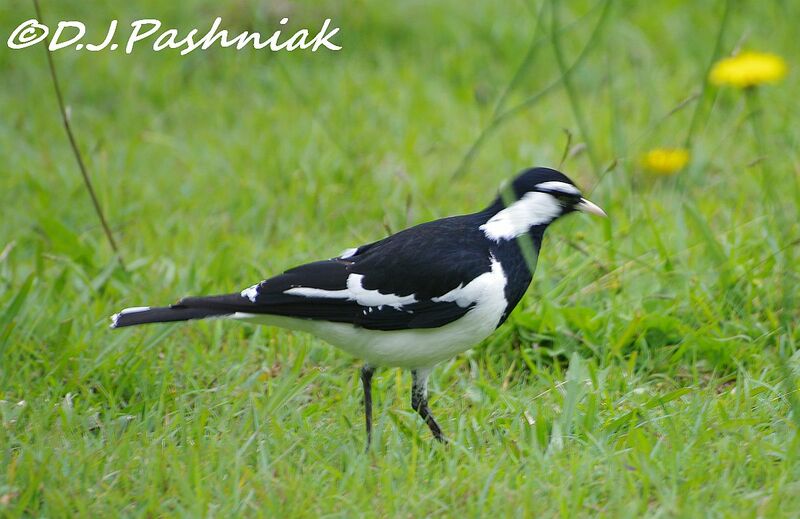 Enjoy the pineapple and the Magpie-larks. oh, they're beautiful birds, but poor kitty... love the pineapples found! How wonderful to be able to grow pineapples. The birds are pretty, but I feel sorry for your cat.